Why did you choose to build that type of bike for your first one? 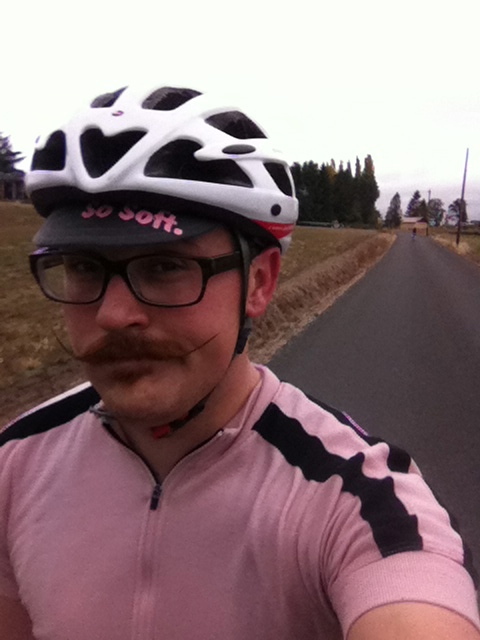 I had been interested in randonneuring for several years and after moving to Portland decided to give it a go. Being car-free at the time, it helped that the first brevet was accessible via light rail and unlike San Francisco, where I had moved from, the 200k was much later in the year, giving me more time to prepare. From those first populaires and 200k’s, I’ve been hooked. 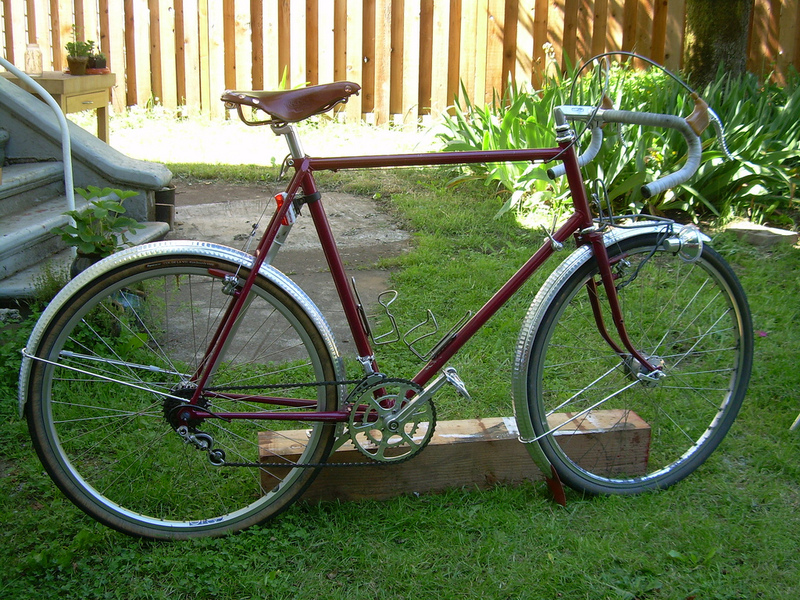 About six years after first learning about the great French builders and trying a brevet or two, I decided that they had gotten it right and that’s the type of bike I was going to build myself. It served its purposes quite well. The idea of a sort of DIY thing appealed to me greatly at the time I picked up a torch. I had been obsessing about bike designs for about 10 years, thinking that I could do better somehow, but wasn’t exactly sure what that meant. I’ve always been attracted to bikes and creating things and the marriage of the two seemed to be a perfect fit. I had about enough money to either sign up for a class, or buy some tools. I chose to buy the tools and to teach myself, using the Paterek DVD’s as a solid reference. I knew I wanted to make more than one bike, so I felt the gamble was worth it. A lot of practice brazing and rack making later, I felt confident enough to tackle my first frame. In hindsight, I sort of knew all along that I wanted to build a career. In the initial phases of building, learning the craft, making mistakes, I wasn’t so confident in that choice. Now I can’t imagine doing anything else. Hmmm. Advertising appeals to me a lot lately. Some sort of product developer for a bicycle component company or clothing company. I fancy myself sort of an ideas man and work well with a talented and intelligent team of creative people, so something that plays into that I guess. 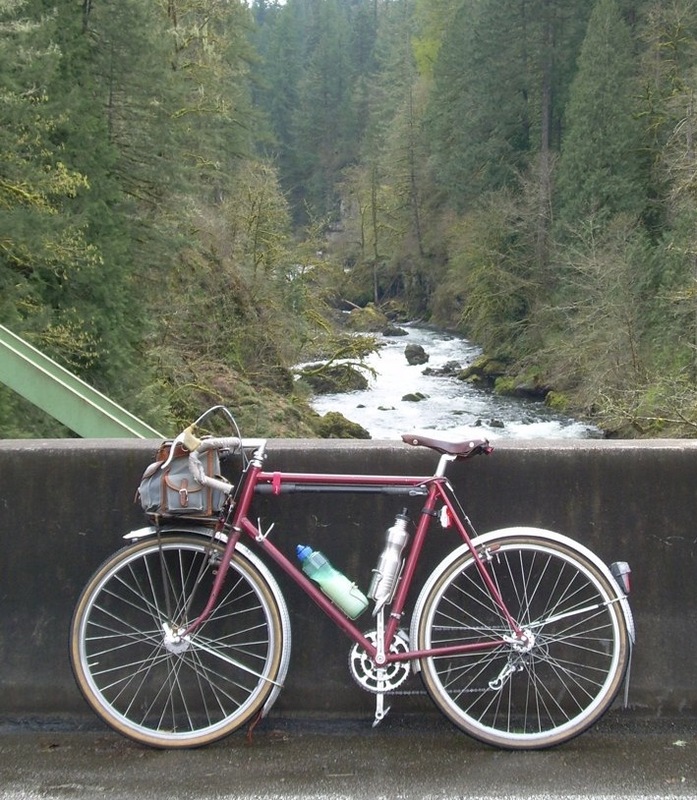 This entry was posted in Frame Builders, My First Bike, Randonneuring and tagged cycles j bryant, french constructeurs, joshua bryant, portland oregon frame builders, randonneuring. Bookmark the permalink.